Perhaps most well known for the iconic sculpture Cadillac Ranch and performances like Media Burn, the radical architecture and media art group Ant Farm created an abundance of works across disciplines — including video, publications, built environments, and performance. Less known are the group’s “time capsule” works made throughout their career, which rejected the idea of the time capsule as a reliable means of cultural preservation. 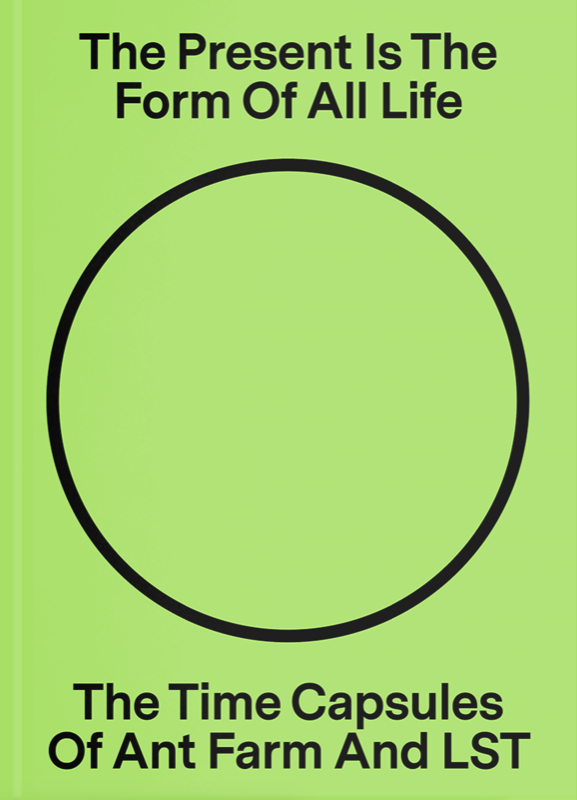 Published as a supplement to the exhibition The Present Is the Form of All Life: The Time Capsules of Ant Farm and LST, this book features essays, an interview with LST, and many never before published or reproduced images of archival material, tracing the time capsule works of Ant Farm and successor group LST from analog archive to digital database.